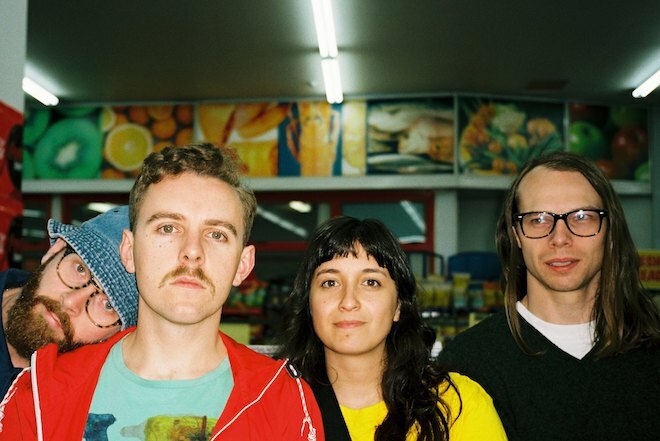 New Zealand outfit The Beths bring subtle grit to indie rock with “Future Me Hates Me”. The band take the stage of a school talent show, wrought with anxiety until the curtains are drawn. Live action play moves in the background, featuring brave rocketeers who land on an alien planet where it quickly hits the fan. This title track is cut from their forthcoming EP, Future Me Hates Me and is out August 10th via Carpark. Watch below.